POLYCARE is a research project funded by the European Commission’s Horizon 2020 research and innovation programme. 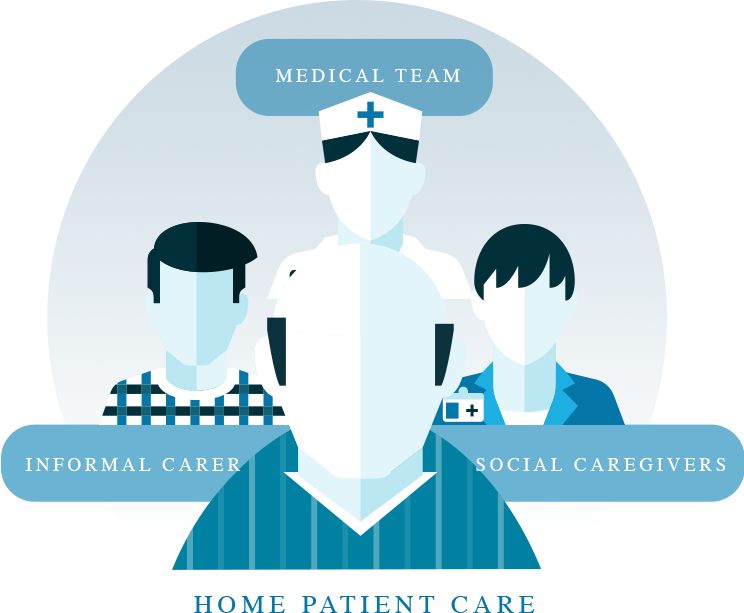 POLYCARE aims to develop and test an integrated, patient-centred care model, supported by the use of advanced ICT systems and services that allow the monitoring and care of older chronic patients in acute phases at home. to reduce the stays of chronic patients in hospitals their related costs. The POLYCARE systems and services will then allow better conditions of life for chronic patients and will improve the sustainability and cost effectiveness of the health and social care systems. POLYCARE will not replace existing ICT systems in hospitals and social providers, but will be integrated with them through a set developed open APIs. Fraunhofer main roles are focused on the development of several distributed systems and services via a middleware that connects all the components of the projects together with the sensors measuring the health parameters of the patients. Additionally, our team will develop the algorithmic components of the project and will integrate them into the resulting systems. The POLYCARE project will be evaluated and validated at three pilot sites in Germany, France and Spain. These sites have many differences both at the organisational and at the technological level. The underlying health and welfare systems within each country and region differ completely. Additionally, the social care and health providers may need to improve or extend their actual set of services to include the POLYCARE results.